A staggering 30.3 million people in the United States have diabetes, millions of which are undiagnosed. Diabetes is a condition where blood sugar (glucose) levels are higher than recommended for good health. Glucose is a type of sugar found in the foods we eat and is an important source of energy for the body. Sources of glucose in the diet include: breads, cereals, rice, noodles, fruits, starchy vegetables, dried beans (examples navy and pinto), and milk. Insulin allows the body to use glucose for energy. Type 2 diabetes accounts for 90-95% of all diabetes. People with type 2 diabetes, the majority of who are adults, do not have adequate amounts of insulin or the insulin they do have does not work as effectively. This results in elevated blood sugar (glucose) levels and diabetes. The impact diabetes has on our health and wallet is eye-opening. Diabetes contributes to cardiovascular disease, cancer, dementia, kidney disease and blindness. The estimated cost of diagnosed diabetes in 2017 was in the hundreds of billions of dollars! In addition to diabetes, prediabetes has become a major health concern in the United States. Over 86 million Americans have prediabetes, a condition where blood glucose levels are higher than normal, but are not high enough to be classified as diabetes. Prediabetes increases the risk of developing type 2 diabetes in the future. Because prediabetes is often without symptoms, most people are unaware they have it. Testing for prediabetes and diabetes identifies those with the disease and allows healthcare professionals to manage the disease sooner. Lifestyle changes, which include weight loss, may help to prevent or delay type 2 diabetes. If diagnosed with diabetes, early treatment can help prevent long-term complications of the disease. Symptoms of diabetes include the following: increased urination, increased thirst, unexplained weight loss, fatigue, blurred vision, and sores that do not heal. Anyone who has these symptoms should be tested for diabetes. People without symptoms who are overweight or obese and have one or more of the additional risk factors, should be screened for prediabetes and diabetes. These risk factors include: parent or sibling with diabetes, African American, Latino, Native American, Asian American, Pacific Islander ethnicity, history of cardiovascular disease, hypertension, low HDL (less than 35mg/dl), elevated triglycerides (greater than 250 mg/dl), polycystic ovary syndrome, and physical inactivity. Other forms of diabetes include type 1 diabetes and gestational diabetes. Type 1 diabetes usually is found in children and young adults. Often these individuals have diabetes symptoms and significantly high levels of glucose in their blood when they are diagnosed. Gestational diabetes, is diabetes newly diagnosed in women between their 24-28th week of pregnancy. Fasting plasma glucose test– Blood glucose level is measured after not eating or drinking anything except small amounts of water for at least 8 hours. Oral glucose tolerance test– Blood glucose level is measured every hour for 2 to 3 hours after drinking a glucose-containing beverage. First, you must have fasted (nothing to eat or drink except water) for 8 hours before drinking the glucose-containing beverage. Random plasma glucose test– Blood glucose is measured at any time with no consideration to whether you have eaten or not. **Cannot be used to diagnose prediabetes. Hemoglobin A1c test– This blood test gives you an average blood glucose level over the last 2-3 months. This test is not accurate if you have anemia. In order to confirm the diagnosis of diabetes it is normally verified with a second test on a different day. A fasting blood glucose of 126 mg/dl or above on two different occasions, confirms diabetes. A random plasma blood glucose of 200 or greater on more than one occasion is considered a positive test result for diabetes. A hemoglobin A1C result of 6.5 % or above on more than one occasion is also symptomatic of diabetes. Positive oral glucose tolerance test results differ between pregnant and non-pregnant populations. The main differences include the amount of glucose-containing beverage consumed, and the frequency of blood glucose measurements. Generally, in non-pregnant women, a blood glucose value over 200mg/dl two hours after drinking a glucose-containing beverage (containing 75 grams of glucose) is indicative of diabetes. In the pregnant population more glucose is given and blood glucose levels are measured multiple times. Prediabetes is also diagnosed with blood testing. Fasting plasma glucose levels between 100-125 mg/dl indicate the presence of prediabetes. An oral glucose tolerance test between 140-199 mg/dl two hours after drinking a glucose-containing beverage also indicates prediabetes. More recently hemoglobin A1C has been used to diagnose prediabetes. A hemoglobin A1C result of between 5.7% and 6.4 % is consistent with prediabetes. Please find below two links that can help determine if you are at risk for diabetes or prediabetes. President Barack Obama has proclaimed November 2016 as National Diabetes Month. 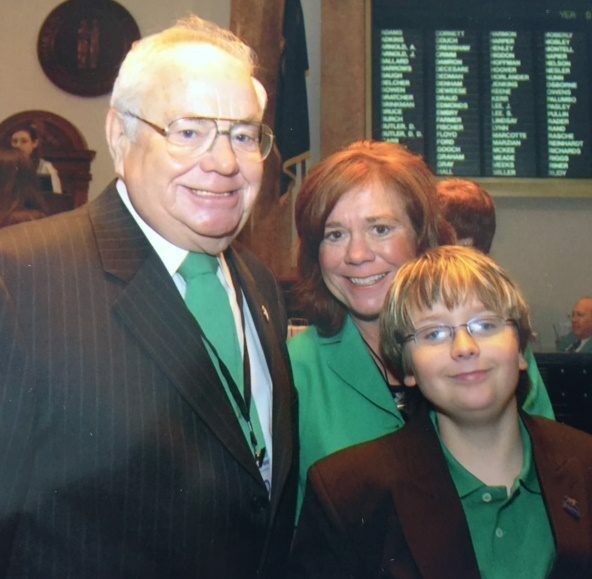 In his proclamation he states, “I call upon all Americans, school systems, government agencies, nonprofit organizations, health care providers, research institutions, and other interested groups to join in activities that raise diabetes awareness and help prevent, treat, and manage the disease.” Today’s blog is one effort to help in raise awareness and inform you about a free online educational opportunity to learn more about managing diabetes. Additionally, November 14, 2016 is World Diabetes Day. It was created by the International Diabetes Federation and the World Health Organization in response to rising concerns about the increasing health risks of diabetes. This year’s theme is EYES ON DIABETES. 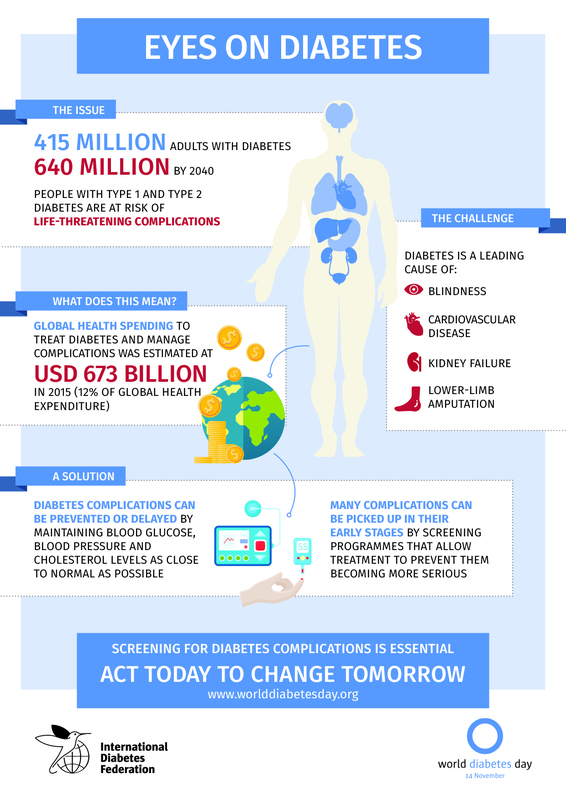 Its focus is on the importance of screening to ensure early diagnosis of type 2 diabetes. One in two adults with diabetes is undiagnosed. Diabetes is the leading cause of cardiovascular disease, blindness, kidney failure and lower limb amputations. Over one-third of all people currently living with type 1 and type 2 diabetes will develop some form of damage to their eyes that can lead to blindness. These complications can be prevented or delayed by maintaining proper blood glucose, blood pressure and cholesterol levels. Screenings can detect complications in their early stages and treatment plans can prevent vision loss. Healthy eating also is an important part of managing all types of diabetes. Do you want to learn more about healthy eating and diabetes? 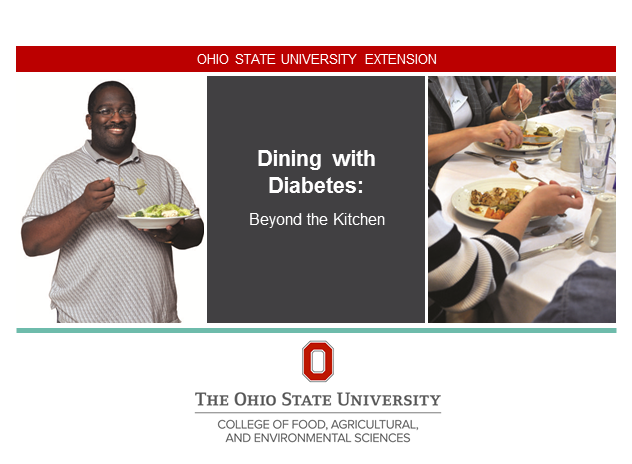 A team of Ohio State University Extension educators and researchers have developed a self-paced online course to help participants learn, share and chat with health professionals about managing diabetes.The course, Dining with Diabetes: Beyond the Kitchen focuses on carbohydrates, fats, sodium, vitamins, minerals and fiber. The easy to follow three-module course includes lessons, videos and activities to complete. Did you know that tomorrow is American Diabetes Association Alert Day? On March 22, I encourage you to take a quick (and anonymous) one-minute test to find out if you are at risk for type 2 diabetes. Plus, I hope you will share the test with everyone you care about, including family members, friends, and colleagues. Diabetes is a serious disease. Nearly 30 million children and adults in the United States live with it. More than a quarter of them—8 million—don’t even know they have it and aren’t getting the medical care they need. It’s estimated that another 86 million people have prediabetes, which puts them at high risk for developing type 2 diabetes. Prediabetes is a condition in which a patient has elevated levels of blood glucose but does not yet meet the criteria for Type 2 diabetes. However, patients with prediabetes are still at risk of developing Type 2 diabetes. This condition is listed as a risk factor for mortality and has been labeled by some as “America’s largest healthcare epidemic”. Through lifestyle changes of improved diet and exercise, prediabetes patients can significantly decrease their risk of developing Type 2 diabetes. Your family health history is an important risk factor for developing Type 2 diabetes. 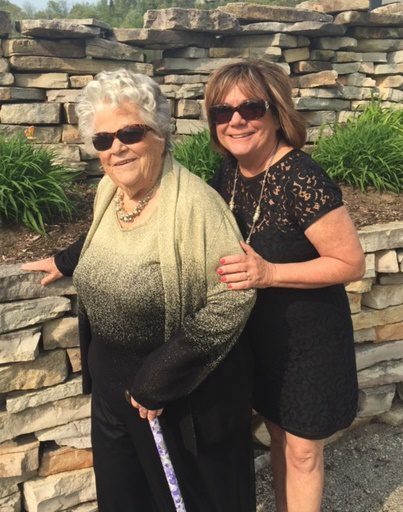 Most people who have Type 2 have a close family member with the disease. Knowing your family health history is important because it gives you and your health care team information about your risk for type 2 diabetes. Please make sure to mark your calendar for American Diabetes Association Alert Day on March 22 and take the type 2 Diabetes Risk Test. It will only take a minute!!! November is American Diabetes Month- Sign up for Free OSU Extension Online Course! Join the American Diabetes Association® to put good food and good health on the table during American Diabetes Month® this November. Whether you are one of the nearly 30 million Americans living with diabetes or the 86 million Americans with prediabetes, or you simply want to live a healthier lifestyle, the Eat Well, America!sm campaign will show you how easy and joyful healthy eating can be for everyone in our Ohio State community! Looking to prepare a healthy Thanksgiving Day meal? They have seasonal recipes and tips to ensure you don’t miss out on the autumn and holiday flavors you love. Also, view the American Diabetes month newsletter for facts and figures on diabetes in the United States. Interested in learning how make healthy choices when eating out and grocery shopping? Ohio State University Extension Family and Consumer Sciences Educators/Program and Field Specialist designed an online course with your needs in mind. “Dining with Diabetes: Beyond The Kitchen” is a dynamic, free online course that provides three modules that you can work on at your own pace. The first module addresses carbohydrates and diabetes. The second covers fats and sodium, and the third explains the role of vitamins, minerals and fiber. In this online educational program you can share ideas and experiences with your classmates, chat with a health professional, and learn about new technology including websites and mobile apps. Why not sign up today and learn how to make healthy choices for yourself and family members!